It is vitally important that your child receives consistent access to speech and other sounds with amplification beginning no later than three months of age. To accomplish that auditory stimulation goal, there are a number of hearing assistive devices available, depending on your child’s age and the severity of the hearing loss. For people with mild to moderate hearing loss, a hearing aid can significantly help communication by amplifying sound. Hearing aids are small electronic, battery-operated devices that collect sounds with a microphone and direct the louder signal into the user's ear. Hearing aids work by boosting the intensity (loudness) level of sounds at different frequencies (pitches). Higher-frequency sounds, such as "t," "p" and "s," have less energy and need a greater loudness boost to be heard than low frequency sounds, such as "a," "oh" and "ah." Hearing aids are programmed to fit the needs of a child’s hearing patterns, such as boosting intensity level for high frequency sounds that he or she may not hear at all and less for low frequency sounds that he or she may hear better. How are hearing aids worn? Hearing aids come in a wide variety of types and styles. Some are small and customized to fit into the ear canal. Others are larger and sit behind the ear. An audiologist (a health professional that specializes in hearing) can help determine which hearing aid is best for you or your child. Depending on the amount of hearing loss, hearing aids may be worn in one ear (monaural) or both ears (binaural). For children who are learning to listen and talk, using hearing aids in both ears is generally recommended. What type of hearing aids exist? There are several types of hearing aids – behind the ear, in the ear, in the canal and implantable hearing aids. BTE hearing aids are slim and fit on top of and tucked behind the ear. Typically, an ear mold is used to both anchor the hearing aid to the ear and to direct amplified sound into the ear canal, so a tight fit is required for them to do the job properly. BTE hearing aids are suitable for almost all types and degrees of hearing loss, and for persons of all ages. Mini BTE hearing aids are the most appropriate for infants and young children. As babies grow, ear molds are replaced frequently and attached to the existing hearing aid (the entire aid is not replaced). BTE hearing aids and ear molds come in different colors and older children may enjoy selecting colors or stickers to express their individual styles and personalities. Because they are visible, BTE hearing aids are easy for parents to “check on” and can also be “fixed” to stay in the ear or, at least on the child, and prevent loss. This can be done by using toupee tape, a thin cap or using other attachments that secure the hearing aid to the child’s ear or clothing. Ask your audiologist for suggestions as to what methods are best for your child’s hearing aids. This tutorial teaches you how to keep hearing aids on your child. IHAs are comprised of both bone-anchored hearing aids (BAHA) and middle ear implants (MEIs). A bone anchored device is useful for people with either congenital atresia of the ear canal or chronic middle ear dysfunction, which prevents the optimal use of conventional hearing aids. Many candidates for bone anchored hearing aids have successfully used bone conductors, which gently oscillate, or vibrate, the skull and reproduce sound waves that activate the users’ hearing mechanisms. The U.S. Food and Drug Administration (FDA) has approved the use of BAHAs for all age groups, including children as young as two years old. The long-term experience with use of the BAHA in Sweden and England and its increasing popularity in North America suggests that the device may be a preferred alternative to surgery to open the ear canal or repair the middle ear mechanism, particularly in children with the Treacher-Collins or Goldenhar syndrome. ITE hearing aids are built into a custom-made shell obtained from an impression of the outer ear and ear canal. They are appropriate for adults with mild to moderately severe hearing loss. Their small size and hard outer shell make them unsafe for babies and young children. It is not unusual for older children to ask their parents for an ITE aid as they approach middle or high school. ITE aids can be a viable option for the child who has worn a BTE-style aid previously; however, it is recommended that the child’s outer ear has slowed in growth and that parents be certain that this type of hearing aid is a good fit for the child’s degree and type of hearing loss. Learning that an ITE hearing aid is not an option can be very disappointing and discouraging to an older child. It is recommended that the parent consider speaking to the child’s audiologist prior to the appointment if the child and family are considering this kind of change. The audiologist can help guide the parents in discussions with the child as well as prepare the child and the parent for an upcoming appointment in which new hearing aids are going to be the topic of discussion. ITC aids fit into the ear canal and are customized to fit the size and shape of the user's ear canal. ITC aids are smaller than ITEs and must be replaced as the ear grows and, as a result, are not typically selected for pediatric use. Like the in-the-ear aid, this style is recommended most frequently for mild to moderately-severe hearing loss. ITC aids are the most popular style with adults. ITC aids, like the in-the-ear aids, may be a viable option for a child after ear growth has slowed provided that the child’s type and degree of hearing loss can be accommodated by a hearing aid this size. Completely-in-the-Canal (CIC) Hearing Aids are built into a custom-made shell obtained from an impression of the ear canal. The CIC, however, fits a bit farther into the ear canal and extends deeper toward the eardrum than the in-the-canal hearing aid. Although generally not "invisible," this hearing aid style is often the least conspicuous or noticeable. These hearing aids are usually appropriate for mild to moderate losses, and for sloping high-frequency hearing losses. Like in-the-ear and in-the-canal hearing aids, they are not appropriate for infants or young children. 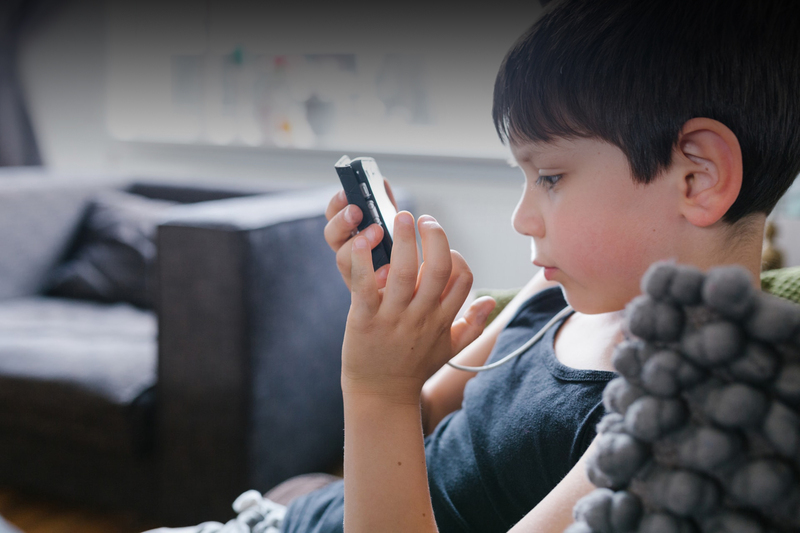 Digital/programmable hearing aids are the most commonly used aids among both children and adults. The audiologist uses a computer to program the hearing aid and can adjust the sound quality and response time on an individual basis. Digital hearing aids use a computer chip and, as a result, offer the most flexibility to audiologists in making adjustments. Digital hearing aids also offer a number of settings that allow the manipulation of the amplification of incoming sound in specific frequencies in situations where it's difficult to hear. When it comes to hearing aids, what are the advanced features? High Frequency: Audibility of high-frequency sounds is essential for developing speech and language. Unfortunately, hearing aids have typically been limited in their ability to provide sufficient audibility for high-frequency sounds. Research has shown that when children with hearing loss cannot adequately hear sounds above 4,000 Hz, they will have to be exposed to three times as many words as children with typical hearing to learn new vocabulary and concepts due to the reduced acoustic bandwidth caused by the hearing loss. Several manufacturers have “extended bandwidth” hearing aids, which promote improved receivers that sufficiently amplify sounds to 8,000 Hz and beyond. However, more research is still needed to demonstrate significant improvements in speech recognition with the use of extended bandwidth amplification. Other manufacturers have developed hearing aids with frequency-lowering technology. There are several frequency-lowering strategies and published studies have shown that each approach can improve audibility and speech understanding of high-frequency speech sounds for children and adults with severe to profound hearing loss. However, if the frequency-lowering is too aggressive (or overdone), then speech and environmental sounds may become distorted resulting in poor sound quality and a reduction in speech understanding. Noise Reduction: Most children and adults with hearing loss have difficulty hearing well in the presence of background noise. Hearing aid manufacturers have developed numerous technologies to improve understanding of speech in noise, including directional microphones, digital noise reduction (DNR), wind noise reduction, and dereverberation algorithms. Binaural Processing: In children and adults with typical hearing, the ears work together to better understand speech in noisy environments as well as to determine the direction from which a sound originates. For instance, we can tell that a sound originates from our right side, because it is a little louder and arrives a little earlier at the right ear than the left. Hearing aids are now capable of sharing information with one another in an attempt to preserve the natural differences that exist between sounds arriving at the two ears and mimic the way the natural auditory system works. Streaming Accessories: Most major hearing aid manufacturers now offer the ability to wirelessly link hearing aids with personal devices and microphone accessories. Depending on the specific technology, wireless capabilities can help the hearing aids pick up important voices, perform better in noisy environments or enable use of an app to control the hearing aids. Digitally Modulated Radio Frequency (RF): RF systems have been recognized as the most effective means to improve speech recognition in noisy places. They possess a microphone/transmitting unit that captures the signal of interest and sends it by way of a radio signal to small receivers that are coupled to the user’s hearing aids or cochlear implant sound processors. Because the microphone is positioned closely to the mouth of a parent or teacher, the speech signal captured by the system’s microphone is typically much higher in volume level than the surrounding background noise. The transmitting device may also be plugged into a computer, MP3 player, classroom smart board, etc., to directly capture and send that audio signal of interest to the receivers. Hearing aid manufacturers now provide digitally-modulated RF systems, which are similar to Bluetooth® technology and provide better outcomes. Water Resistance: Some hearing aids are now manufactured with coatings able to repel water, and others claim to be water resistant, allowing children to hear in even more settings. What is an ear mold? Ear molds are custom made to fit a child’s ear and keep hearing aids in place. They are created from an impression of the outer ear and ear canal that is made out of a special material in the audiologist’s office in about ten minutes. Once made, the impression is sent to an ear mold manufacturer for production. It generally takes ten to 14 days from the time the ear impression is taken until the new ear mold arrives back at the audiologist’s office. Ear molds can sometimes be “rushed” for an additional fee. In growing children, ear molds need to be replaced about as often as a child’s shoe size changes, as the outer ear grows at about the same rate as the foot. By the time a child is six years old, the need to replace ear molds on a regular basis will decrease significantly. If ear molds don’t fit well, the amplified sound will escape the ear canal and be amplified again by the hearing aid microphone, producing “acoustic feedback” in the form of a high-pitched squealing sound. Ear molds come in a variety of “soft” and “hard” materials. Though your audiologist will make specific recommendations based on your child’s unique circumstances, it is generally recommended that young children wear ear molds made of “soft” material. Soft material is flexible and protects the child from being injured by the ear mold should the child bump his or her ear during sports or rough play. Ear molds come in a wide range of colors. At what age can a child begin to wear a hearing aid? Babies, toddlers and children with hearing loss can be fitted with hearing aid(s) within a few short weeks and certainly should be fitted within the first couple of months following diagnosis. What do hearing aid users hear? Depending on the degree of hearing loss, hearing aids will enable a person to hear many environmental sounds (such as the sound of a rattle or a dog barking) and the sounds of speech. However, hearing aids do not correct hearing as perfectly as glasses correct vision. Although hearing aids have improved dramatically in recent years – some have built-in FM systems and directional microphones that can reduce background noise – individual sounds may be somewhat distorted. Because hearing aids amplify all sounds, including background noise, it still may be difficult to hear and understand speech in noisy situations unless an individual with hearing loss is standing close to the person who is speaking. Active listening and good communication strategies are also important. As the child adjusts to the sound and feel of hearing aids through consistent use, his or her hearing benefit often improves over time. Do I need to check my child’s hearing aid? Checking hearing aids every day helps you to know if there is a problem, and reduces the amount of time the child is not hearing well. A child learning language needs his or her hearing aids to consistently provide a clear sound that is loud enough to hear speech. Hearing aids can malfunction for a variety of reasons, including normal daily wear and tear. The child cannot or may not tell you when there is a problem. Parents, speech-language pathologists, early interventionists and teachers need to know that the child’s hearing aids are working well every day and all day. What do I need to have on hand to check hearing aids? How much do hearing aids cost, and what resources exist? Hearing aids are a major purchase so it’s important to understand exactly the terms of purchase. Ask the audiologist whether they have a variety of hearing aids for a person to try or a Loaner Hearing Aid Bank Program. Families of children enrolled in early intervention may be eligible to receive funding for hearing through that program. These state programs receive federal funding through Part C of the Individuals with Disabilities Education Act (IDEA), the federal law supporting special education. State early intervention programs may allow a family to qualify for hearing aids at no cost if your insurance does not cover aids or if you do not have insurance. Some states also purchase aids for children through public special education programs, which also receive funding through IDEA. Some states have mandates for health insurance plans to cover part of the cost of hearing aids in some circumstances. However, many insurance plans exclude coverage for hearing aids. Check your insurance policy before purchasing hearing aids. If you cannot afford hearing aids, several organizations offer other sources of funding you can explore (Let Them Hear Foundation, Starkey Foundation, Lions Clubs and others). Medicaid provides hearing aids to qualifying children. Hearing assistive device manufacturers often offer financial assistance programs including help in contacting your health care insurance company or Medicare to obtain approval for coverage. Also, your audiologist may be able to refer you to possible sources of funding in your community. AG Bell maintains a list of resources detailing the hearing aid-related insurance mandates on a state-by-state basis. To inquire about this list, please email [email protected]. Can we try a hearing aid before we buy? Often, hearing aids will not sound perfectly natural at first. It is important to recognize that the brain requires a period of time to adjust to new sounds. In most U.S. states, audiologists and dispensers of hearing aids are required by law to offer a 30-day trial period during which users may evaluate their performance with the hearing aids. However, many people find that they require a trial period longer than 30 days. Ask your audiologist or dispenser if you can extend the trial period to 60 days. Most audiologists and dispensers will ask for either all or partial payment of the hearing aids “up front,” but will refund your payment, less a fee, should you return the aid during the trial period as long as the aids are in good condition. If your child has a severe or profound hearing loss in both ears, traditional hearing aids may not be enough to provide adequate sound perception and comprehension for speech understanding. Fortunately, cochlear implants can help people with profound hearing loss gain partial hearing. Since the 1970s, cochlear implants have helped thousands of people detect sound and understand speech. Hearing works like this: In the inner ear, the cochlea and auditory nerve work together to turn acoustical sound waves into electrical impulses. These impulses are transmitted through the auditory nerve to the brain where they are perceived as sound. If any part of this complicated system is damaged, hearing loss occurs. A cochlear implant mimics this system. The electronic device(s) bypasses the damaged areas and sends electronic signals to the brain that can be interpreted as sound. As a result, people who use cochlear implants may have increased sound awareness, better environmental sound recognition, enhanced speechreading abilities, improved speech production and the ability to understanding speech without speechreading. Sound is received by the microphone. Electrical pulses that represent the energy contained in sound signals are sent from the microphone to the speech processor. The speech processor selects and codes the most useful portions of the sound signals. Code is sent to the transmitter. Transmitter sends code across skin to receiver/stimulator. Receiver/stimulator converts code to electrical signals. Electrical signals are sent to electrode array in the cochlea to stimulate hearing nerve fibers. Signals are recognized as sounds by the brain. What components make up a cochlear implant? One of the biggest ways cochlear implants differ from traditional hearing aids is that part of the system is surgically implanted into the inner ear. The external components include a speech processor and a transmitter. The implanted, internal components include a receiver coil and an electrode array. What types of speech processors exist? There are two styles of speech processors: behind-the-ear (BTE) and body-worn. BTE processors look similar to a hearing aid and are worn behind the ear. Body-worn processors are miniaturized and can be clipped to a shirt collar or ponytail. The style that’s best for your child depends on his or her activity level. Consult your audiologist to discuss the options for young children. How does the transmitter work? The sounds have been processed and coded. Now, it’s time to get them to the brain using the transmitter. The transmitter sits on top of the skin and sends code to the internal parts of the cochlear implant. It is held in place with magnets. What is the receiver coil? The magnets that keep the transmitter in place on the skin’s surface are attracted to the receiver coil technology that is surgically placed under the skin behind the ear. The receiver coil has another important function: It takes code from the transmitter and turns it into electronic signals that the brain can interpret. What is the function of the electrode array? The electronic signals are prepped and ready to go. Now, electrical contacts, known collectively as an electrode array, act like messengers to get the signals from the receiver coil to the brain. The electrode array makes tiny, highly accurate, electrical pulses on the hearing nerve fibers that connect the inner ear and the brain. The brain recognizes these electric pulses as sound. Are all cochlear implants the same? While all cochlear implants function using the same basic process, the quality of the sound they produce can vary, just like the sound system in your car or living room. There are three components in particular that have the biggest impact: the microphone, the speech processor and the electrode array. There are three cochlear implant systems approved for sale in the United States by the U.S. Food and Drug Administration (FDA): Advanced Bionics, Cochlear Americas and MED-EL Corporation. Are cochlear implants always successful? Research suggests that implantation works best for young children, ideally, before age three. The U.S. Food and Drug Administration has approved cochlear implants for infants as young as 12 months, although children who are even younger have received the devices. The quality of the equipment also has an impact on the quality of sound, just like the sound system in your car or living room. Although cochlear implant recipients have a wide range in performance, the benefits for most users include improved speech recognition, enhanced speech production skills, ability to perceive speech without speechreading and improved sound awareness and recognition. Today, advances in implant technology enable more children to maximize these benefits and develop listening and spoken language skills.